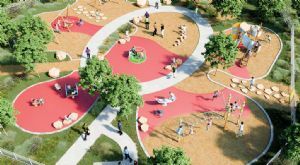 The new playground is a long-term project between Council and the community with Touched by Olivia Foundation securing a significant contribution towards the cost of the new playground from community groups, grants and businesses. Construction will take around eight weeks, weather permitting, finishing in time for the Easter holidays. For more details contact Council on 6499 2222.